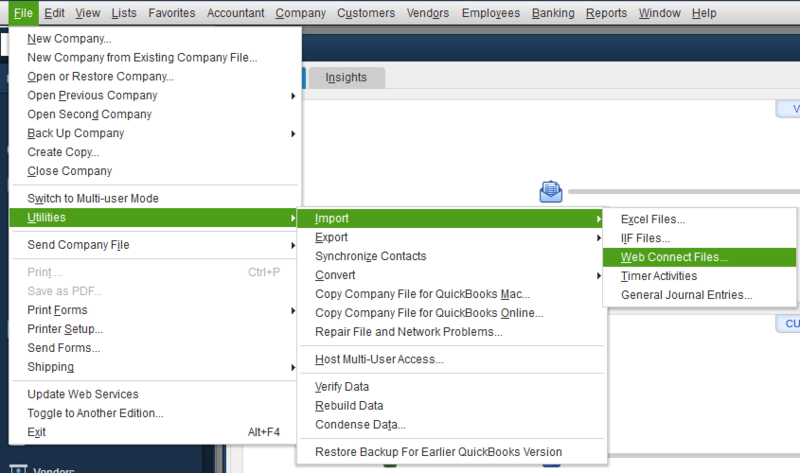 While Quickbooks Desktop (QBD) is quite restrictive on the acceptable file types for importing bank statement data as bank transactions, we've used the QuickBooks Web Connect File type that allows you to get your captured bank data files from AutoEntry into QBD in bulk. Please Note: As of 5/31/2018, importing statement data is not possible for users of QuickBooks Desktop 2015 (all) versions or older. 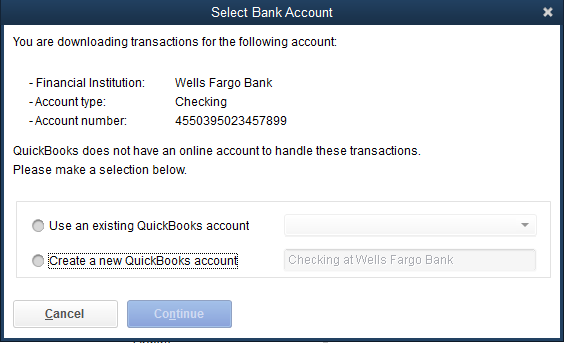 When the extraction is completed by AutoEntry simply use the QBO/QBD option to download your statement data. To do this go to the relevant bank account and click Download > QBO/QBD - Web Connect file (.qbo). Account Number: So long as the account number is visible, AutoEntry will capture it and it will appear by default here. If not you should enter the unique account number for this account as Quickbooks Desktop will recognise it for future imports (if you decided to use a fake generic number on two separate accounts this will cause you issues as the data may merge into the wrong account automatically - so make sure this number is unique per bank account even if you don't use the true number). Account Type: Choose the most appropriate account type from the dropdown. Currency: Currently USD is the only supported currency. 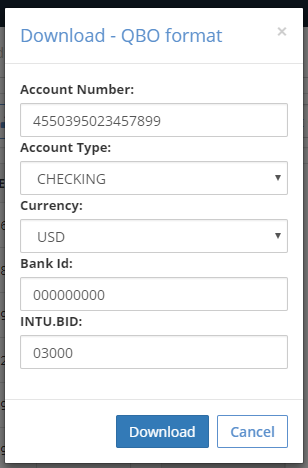 INTU.BID: We mentioned earlier that we mimic a bank feed in order to make this bank data import and as such we need to include a recognised Intuit Bank ID for it to be accepted by QBD. In this case we've used a common bank ID for Wells Fargo Bank. If you know the INTU.BID of your own bank you can enter it here. Using the Wells Fargo default will make no difference in getting the data into QBD except that you will have a Wells Fargo logo associated with it. Generally you can just cast your eyes over the above fields before clicking Download, but do make sure the Account Number is captured and, if not, at least that it's unique. *Note: If you are looking to import statement data to an account that is already connected to a bank feed, you will need to disconnect the bank feed first. Now you can choose from an existing bank account already in your chart of accounts or create a new bank account. And that's it! Do let us know below if this article was helpful.